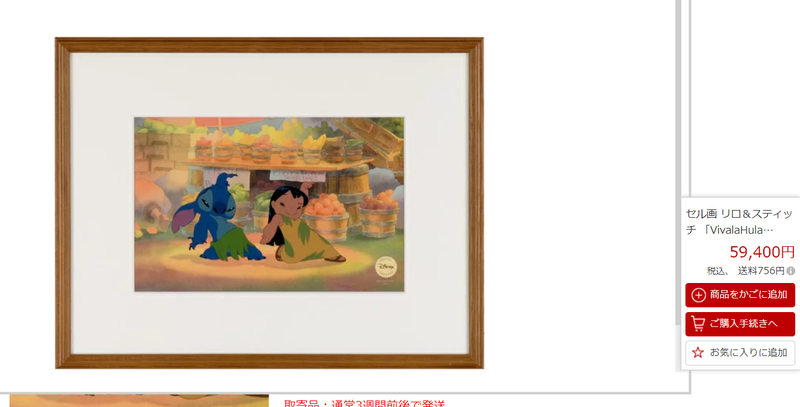 This is a limited edition sericel depicting characters from Walt Disney's Lilo & Stitch (2002). 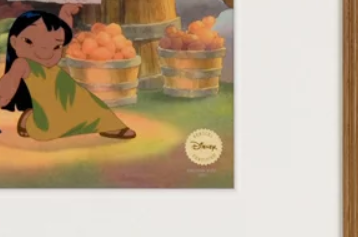 This sericel edition, "Viva la Hula" combines scenes 44.5 and 48.5 from Sequence 12.5 of Disney's 40th animated feature. 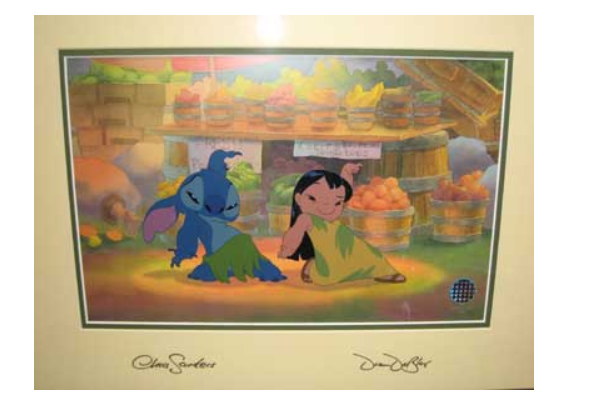 Lilo, an offbeat Hawaiian girl, teaches Stitch, an alien outlaw, who she thinks is a dog. 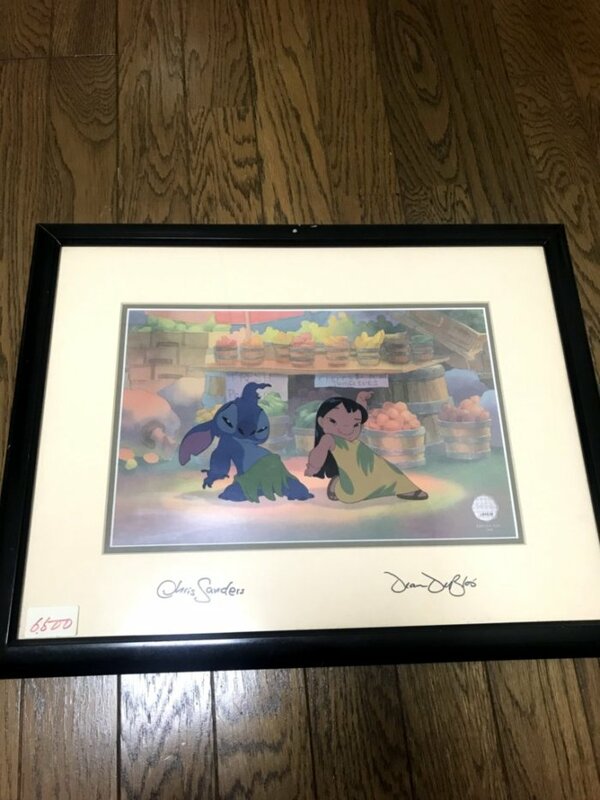 In this cel, Lilo and Stitch are getting their groove on.Title: "Viva la Hula" Medium: Cel on Acetate w/ lithographic background Publisher: Animated Animations Company LLC Date of Publication: 2002 Cel Image Size: 9 X 13 1/2 inches Frame Size: 16 1/4 x 21" Seal: Disney Hologram Edition Size: 1500 Condition: Excellent Includes Publisher's Certificate of AuthenticityThis is what the certificate has to say:These sericels are a reproduction of a hand-inked, hand-painted animation cel master specifically created by the Animated Animations Company and Disney-supervised animation artists. 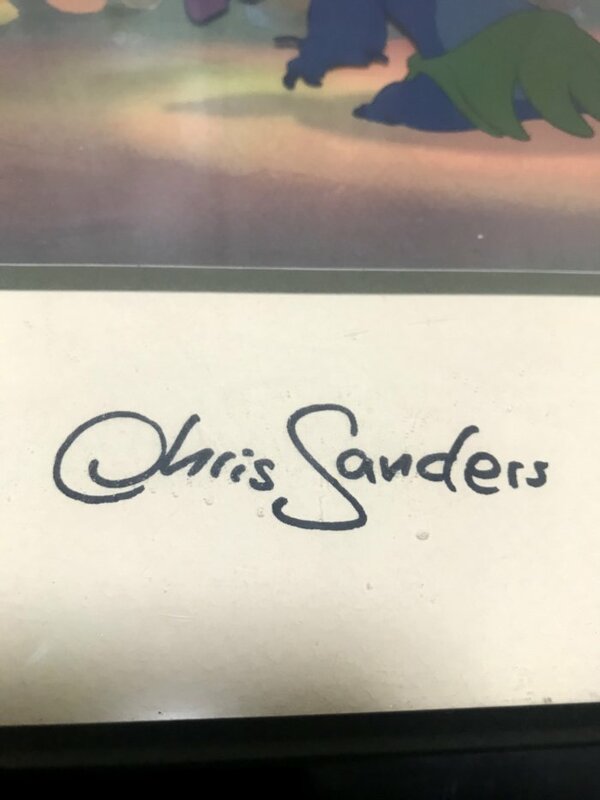 American Atelier of Gardena, CA, used this master cel as reference to produce this sericel edition. Twenty-one colors were used to recreate the color image, each of which has been exactingly screen-printed, one color at a time, onto the cel.The background scene accompanying this cel was created directly from the digital file used in production of the film - with some adjustment to the character shadow elements - which in turn was created from the original hand-painted watercolor background created by the film's background painters at the Walt Disney Studios. 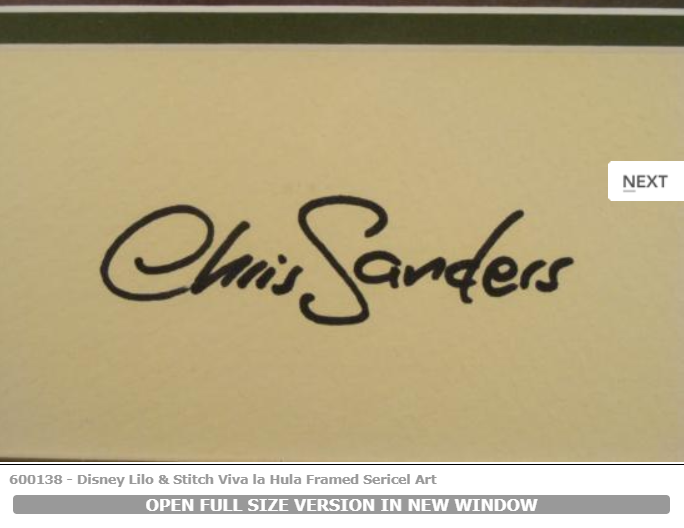 Color Service, Inc. of Monterey Park, CA, has lithographically printed the resulting artwork on premium-quality, acid-free paper.As a special edition, Lilo & Stitch co-directors and co-writers Chris Sanders (who is the voice of Stitch) and De DeBlois have hand-signed each mat in the edition. 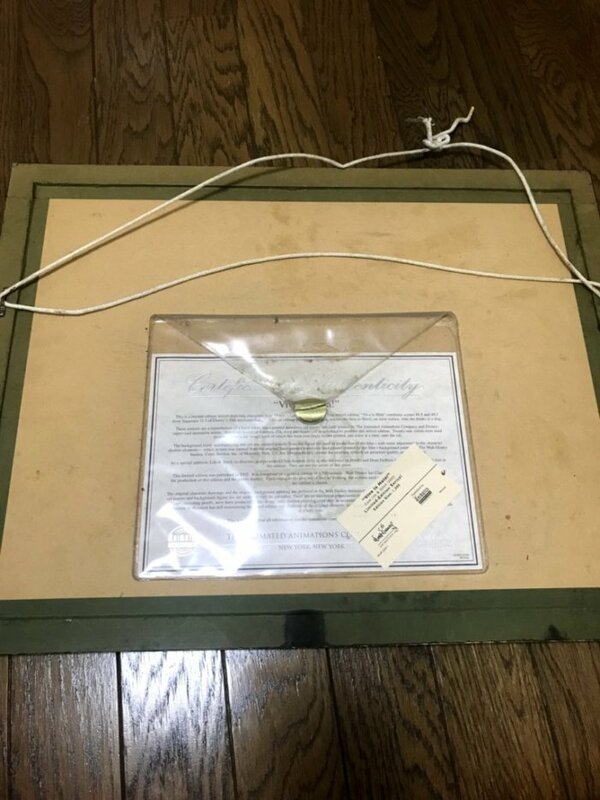 They are not the artists of this piece. 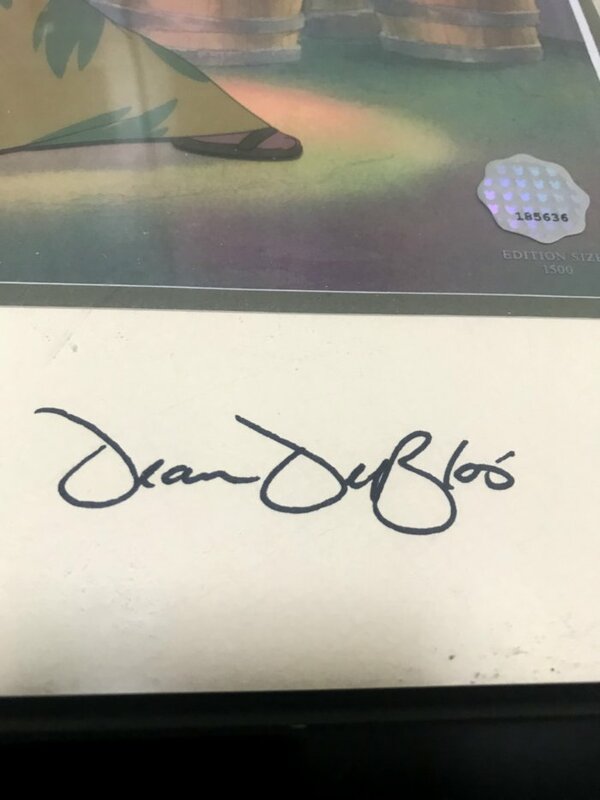 This limited edition was published in 2002. 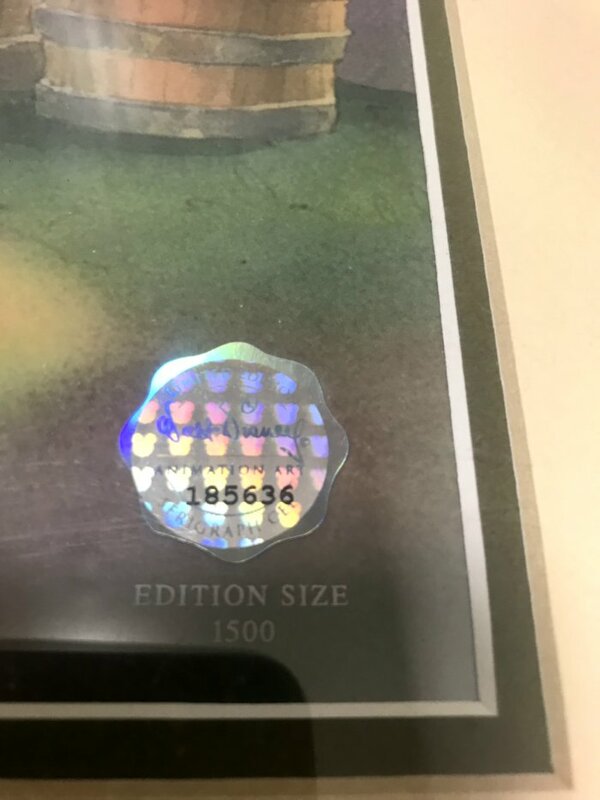 It is comprised of general edition of 1500 sericels. 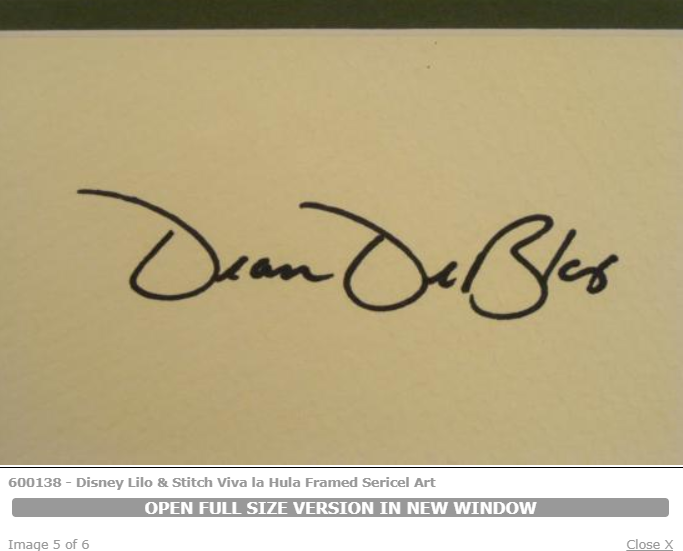 Add this incredible sericel to your ever-growing Disney collection. Copyright © サッパTVの毎日がエブリデイ All Rights Reserved.